On April 12, 2015, the Second Sunday of Easter, Sister Gemma Marie Berger died at our Maryknoll Sisters Center shortly before the liturgy of the day was to begin in the Main Chapel. She was 89 years of age and had been a Maryknoll Sister for 71 years. Sister Gemma Marie was born on April 25, 1925 in Gardenville, New York, to Edward J. and Rose Loretta Karg Berger, and was baptized Geraldine Margaret Berger. She had four siblings, a sister, Rosemary D. Berger, and three brothers, Edward J. and Eugene E. who have predeceased her, and Richard E. Berger. The family belonged to Fourteen Holy Helpers Parish in Gardenville. Sister Gemma Marie attended St. Nicholas High School in Buffalo, New York, from 1939 to 1941 and graduated from Mount Mercy Academy in Buffalo in 1943. Sister entered Maryknoll on September 6, 1944 at Maryknoll, New York, and made her First Profession of Vows on March 7, 1947, at Maryknoll, New York, receiving the name of Sister Gemma Marie, which she retained the rest of her life. She made her Final Profession on March 7, 1950 in Guadalupe, California. 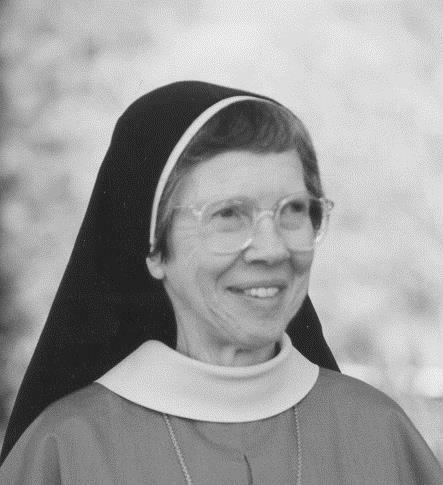 Like many new Sisters at the time, Sister Gemma served in domestic work at the Maryknoll Fathers Venard Seminary in Scranton, Pennsylvania, from 1947 to 1949. She was then assigned to San Juan Capistrano, California, from 1949 to 1952, where she taught CCD classes. In 1952 she returned to the Maryknoll Center, working in the Promotion Department and at the Seminary until 1954, when she began studies at Maryknoll Teachers College. She received a bachelor’s degree in education in 1958 and was assigned to Chicago Chinatown where she was a grade school teacher at St. Theresa’s School until 1967. During this period she also took a six-month program in Choral Techniques at DePaul University, complementing her early training in playing the piano and organ. Following brief assignments to Maryknoll Sisters’ houses in Valley Park, Missouri, and in Hawaii, Sister Gemma Marie was missioned to Guadalupe, California, in 1971. There she was the CCD Elementary grade teacher, both teaching and supervising lay teachers. She was parish organist and in charge of a small adult choir as well as doing home visiting and participating in other parish and community activities. She remained at Guadalupe until the mission closed in 1977, at which time she joined the early group of Sisters in Monrovia, California. Once again she worked as a parish CCD teacher and became spiritual directress of the World Apostolate of Fatima in the area from 1977 to 1986. In 1986 she chose to retire at Monrovia to have a less stressful schedule and more time for prayer. The open space, good climate, mountains and greenery gave her much happiness, freeing her to follow her spiritual and devotional nature. She enjoyed preparing classes as a volunteer teacher, preparing young children for First Communion. That activity and a prayer group she hosted on Friday mornings energized her. Her devotion to the Blessed Mother was evident during these years as she took great care of the Statue of Our Lady and its garden surroundings at the entrance to the Monrovia house. Sister Gemma Marie spent more than 30 years in Monrovia, one of the longest residents at mission Monrovia. Sister chose to return to the Maryknoll Center in 2008 while she was still able to get acquainted once again with the Sisters and facilities here. She became a member of the Eden Community in February 2009. She had a great love for animals and was very much at home as one of the care takers of the animals that bring joy to the Eden Community. Her prayer ministry during this period was for the Maryknoll Society of Priests and Brothers. Sister Gemma Marie will be missed by the members of the Eden Community and we express our gratitude to the many nurses and aides who attended her and befriended her over the last six years at Maryknoll Sisters Home Care. We are happy to have with us today Sister Gemma Marie’s brother, Richard Berger and his wife, Carol; and Sister’s nephew and niece, Eugene Berger and his sister Barbara Berger. We also welcome Maryknoll Father Jack Sullivan who will preside the Liturgy of Christian Burial.